Corsa Lusso is a car themed coffee company on a mission to combine the worlds of exceptional cars and exquisite coffees. This idea stems from a lifelong car enthusiast lifestyle and a pursuit for unique specialty coffee. Now you can take 15% OFF when you enter promo code CORSA15 at Step #5 during checkout! Click HERE to start brewing! 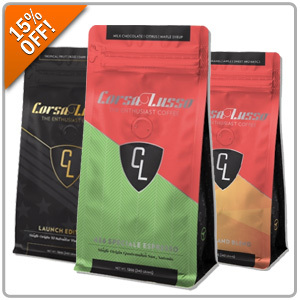 Quick Reply: 15% OFF Corsa Lusso Coffee!